Today is the Winter Solstice – the longest night of the year. Officially, it is the first day of winter and we can look forward to several months of snowy, blowing weather to assault us with. Joy to the world! Never fear though. Babybox.com has lots of winter gear to keep you warm in the months to come though. Whether you need sweaters, mitts, scarves, hats or jackets, Babybox.com can outfit you, so that you can enjoy the outside winter wonderland to your heart’s content. So grab your excitement and a shovel to go with your outerwear and head outside to enjoy those flakes. Here’s hoping you make the best snowman ever! This personalized knit letter sweater designed with classic stripes is a wonderful baby gift or toddler gift. Made from soft 100% cotton and available in 22 different colors. Each sweater features your choice of stripes and monogram single initial in lowercase. Excellent quality and workmanship. An initial of your choice covers the front of this sweater, sure to look adorable on any baby. This custom knit fire truck will guarantee your child will never lose their hat. What little boy would not LOVE to wear their hat all the time with a fire truck and their name embroidered across the front. Such a classic. An ideal choice for a young fireman to be. Made from 100% Cotton and personalized with your child’s name. Knit in the USA. Available in sizes preemie through adult in your choice of color. Shown here in navy with red firetruck and name. This warm flower designed scarf is a perfect gift any girl, young or old. Her name will be embroidered at the bottom in Antique Roman font in your favorite color. It is handcrafted from 100 % acrylic which is soft for a baby’s delicate skin. This scarf comes in dual shades, one is the main color of the scarf and the other is the accent color, which must be in contrast. This Fattamano jacketfrom Germany is the very best for staying snuggly warm. It slips easily on and off and keeps your little one toasty year-round. This is a perfect baby gift that will definitely become a favorite. It is 100% cotton fleece. Machine wash warm, tumble dry low heat. No bleach or softener. 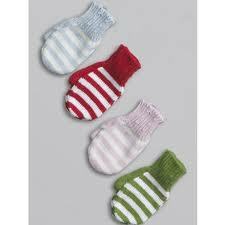 These 100% cotton striped mittens are adorable and soft. Designed by Bella Bliss, each is handknit and a fun way to keep warm and add style to your child’s wardrobe! Available in pink, blue, green, or red stripe. One size. For an adorable set, add the matching knit scarf (fits toddler size 2-4 years). Attached with a string that can be looped through a coat for safekeeping. This entry was posted on Friday, December 21st, 2012 at 10:48 am	and is filed under baby clothes, baby outerwear, bella bliss, personalized baby clothes. You can follow any responses to this entry through the RSS 2.0 feed. Both comments and pings are currently closed.